The Ray-Ban Erika sunglasses are a popular frame which have large, rounded lenses and a keyhole nose bridge. The arms are very thin and completed with ear socks, which match the frame colour. 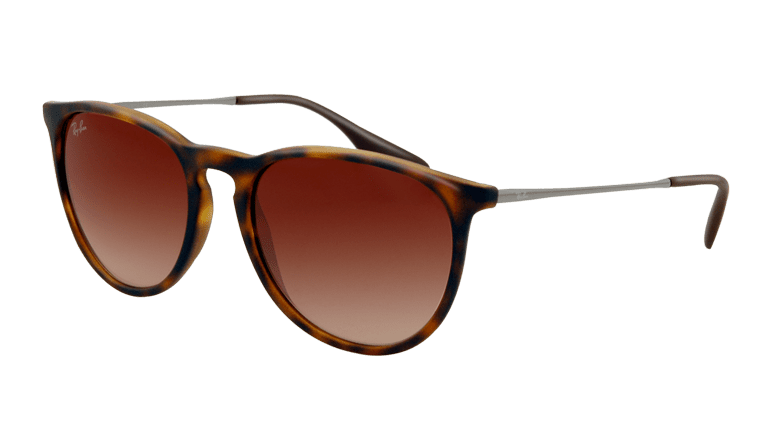 The frame is wider on the inside edge at the nose bridge to provide a comfortable and tight fit and the Ray-Ban signature is present on the arms and the right lens. 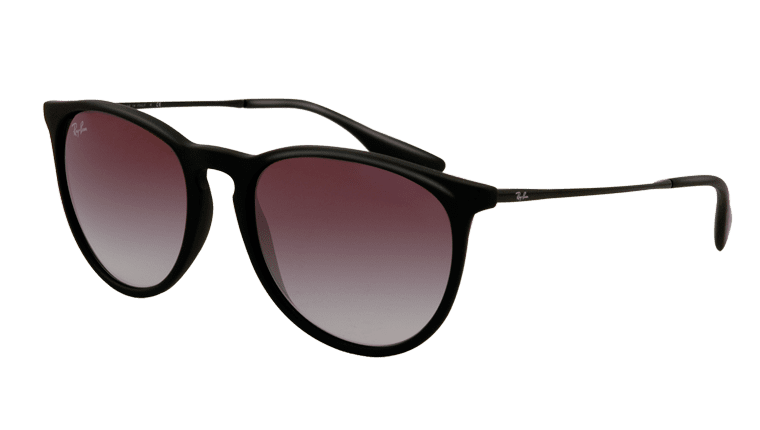 The RB lettering is also engraved on the right hand lens and, as with all Ray-Ban’s, the lenses provide 100% UVA and UVB protection so the wearer can be completely reassured of protection. They come complete with a Ray-Ban case, a cleaning cloth and authenticity cards.